The Columbia River Knife & Tool (CRKT) Pangolin fixed blade knife is a very nice combination of craftsmanship, materials, and purpose-built design. The Pangolin could make a perfect back-up knife for patrol or SWAT work, or just a very nice off-duty knife as well. Designed by Ryan Johnson, of RMJ Tactical in Chattanooga, Tennessee, the Pangolin not only looks good, it feels great and should perform well too. The Chromium, Molybdenum blended steel of the Pangolin increases hardness and durability, as well as improving tensile strength, wear and abrasion resistance, and corrosion resistance. The glass-reinforced nylon handle, with unique textured grip, provides significant grip without being too aggressive to be comfortable. The CRKT Pangolin is a short, stubby knife but perfect for close-in or smaller jobs. The CRKT Pangolin™ is designed with a modified drop point blade with black powder corrosion resistant finish providing superior durability and wear resistance. Even though the Pangolin is a short knife, it is built to be robust and get a lot of work done. When you grab hold of the handle, you’ll feel its ergonomic design and realize you can get some serious leverage with the uniquely textured glass-reinforced nylon. The Pangolin just fits the hand, with a blade that won’t get in the way of work. That unique texture is in the form of scales mimicking those found on the real Pangolin—a small but naturally gifted animal from which it derives its name. The CRKT Pangolin™ is a short, lean knife that stays out-of-the-way until you really need it. The Pangolin in its glass-reinforced sheath. The Pangolin felt very balanced in my hands, despite being a smaller knife. 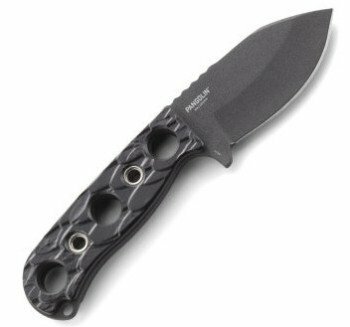 I really liked the short, but stocky blade, and the textured scaled handle really felt good and secure. The Pangolin was just a fun knife to handle. 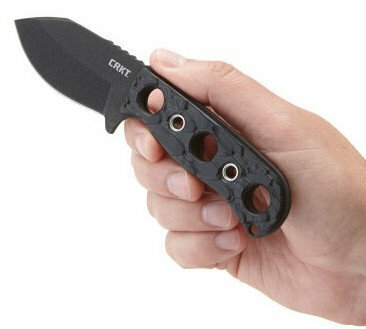 The CRKT Pangolin has a sheath or single clip carry option. There are a lot of options for on-duty knives, and often the choice comes down to intended use. The CRKT Pangolin is a short, and stocky knife, but with a decent sized handle with texture to enhance grip. 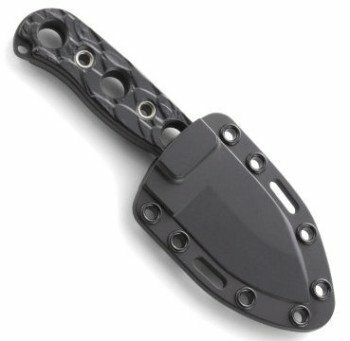 The drop point blade in razor format provides plenty of cutting potential, while the compact design makes carrying the Pangolin on body armor, behind a duty belt pouch, or on a boot very practical. During SHOT Show I spent some time handling the Pangolin, and really came to appreciate its size, handle, and function. At first I thought it would be a bit too small, but after some practical handling, the Pangolin felt very good in my hands. I plan on purchasing a Pangolin very soon to use both on and off duty.